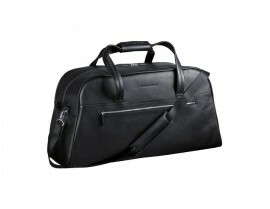 Porsche Exclusive luggage, suitcases and every day bags. From an over night to a multi-day vacation, many people prefer different types of luggage. 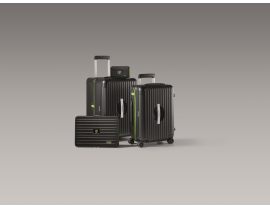 Porsche offers compact, robust suitcases as well as exclusive travel bags that meet every requirement. Our ultra-lightweight aluminum suitcases, which fit in any Porsche model, can be color coordinated with your vehicle, and are made to order on request with custom Porsche finishes.You can also choose any combination of soft suitcases and bags, which live up to Porsche standards.The luggage created by Porsche designers is characterized by elegant designs and high levels of functionality. A winning combination that our clients can appreciate.
" Take time to shop Rusnak Porsche Boutique! When I was having my car serviced, I wandered over to the boutique and was thrilled with the selection and with the outstanding customer service I received from Ashley. She has stocked so many items that you didn’t know that you needed! I walked out with a Porsche Mouse for my new iMac - not only is it sleek, it works GREAT !!!!! Thank you Ashley for having very unique offerings! Can’t wait to see your Porsche Boutique on line! "